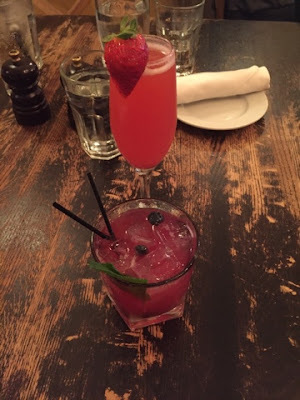 Back Bay Social Club's weekend brunch is where it's at! They serve everyone's favorite boozy beverages - Mimosa's and Bloody Mary's. Start of your meal with their famous $1 oysters. 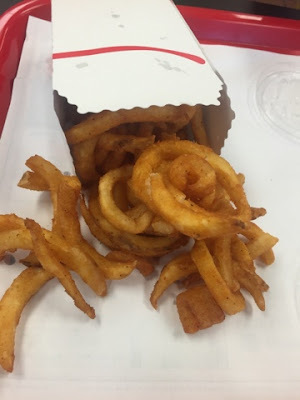 We sucked down a tray of 10 of them this afternoon. They are soooo good. 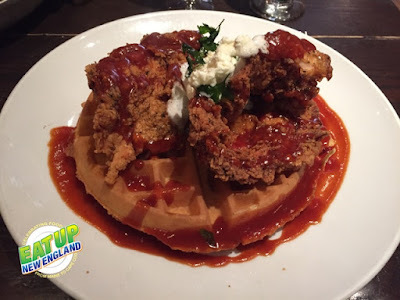 Check out the chicken and waffles. This crispy white meat was drizzling with just enough of their house BBQ maple syrup. Amazing. 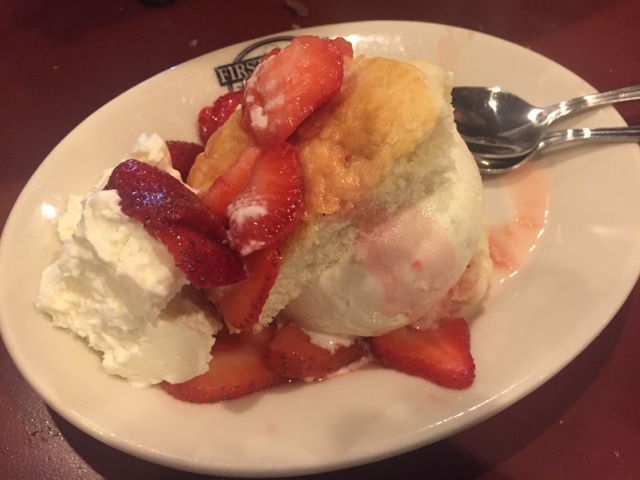 Other brunch options at BBSC include a lobster roll, build your own omelet, Belgian blueberry waffle, lobster benedict along with several salads, burgers and pizzas. Brunch is served from 11am to 3pm Saturdays and Sunday. You can also get those $1 oysters during the week, Mondays thru Fridays from 4pm to 6pm. 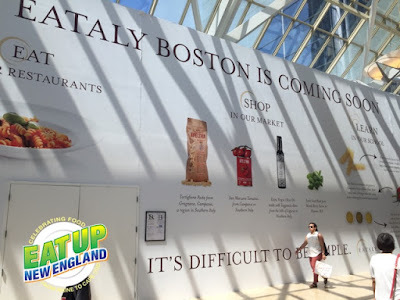 The long-awaited Eataly Boston is coming along. I snapped this photo outside of their storefront in the Prudential Center today. 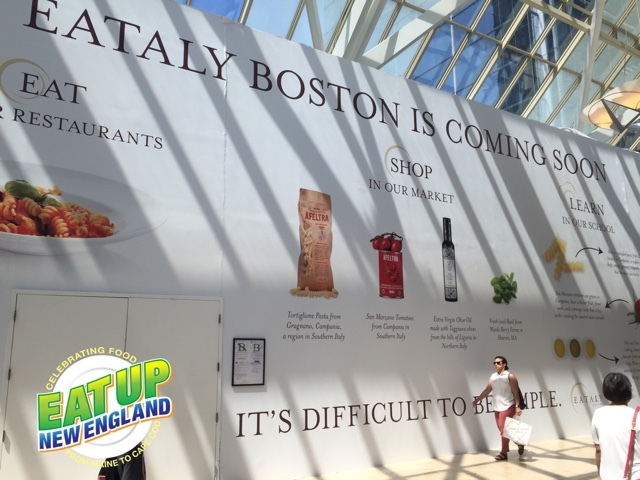 All three glorious floors of Eataly Boston are now set to open this fall. They are aiming for September. This $20 million dollar market will feature some 15,000 products, a 300 seat rooftop grill, six restaurant, a brewery and cafe. I'll be one of the first people in line. It will be so nice to enjoy one of their amazing hot chocolates this winter without have to travel to New York City. The West Newton Farmer's Market is the perfect way to kick off the weekend. 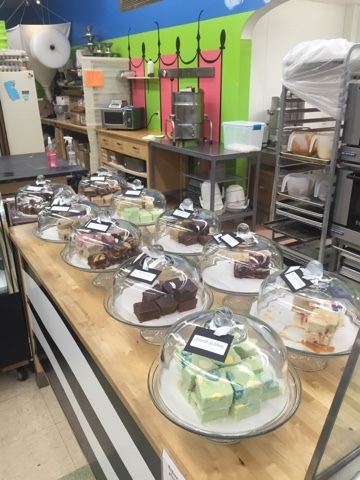 Every Saturday during the summer, local farmers, bakeries and shops set up along Elm Street to sell fresh and local foods to the community. When Life Gives You Lemons is always a must stop for me. For $5, you get a big ole quart of lemonade that's squeezed right in front of you. Add blueberries, strawberries, mint, honey or as much sugar as you'd like. With temperatures approaching 100 degrees today, I bought a quart with blueberries and mint to sip on all day. 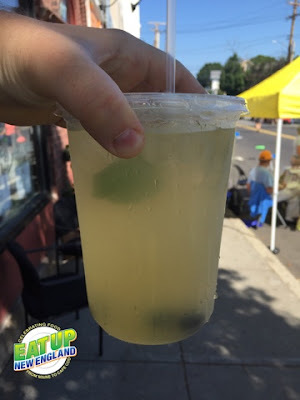 When Life Gives You Lemons is at the WNFM every week and you can also find that at other area at other Farmer's Markets in Framingham, Wayland and Worcester. EatUpNewEngland.com was launched in January 2013. Since then, I've showed you some of the best restaurants, foods and drinks all across the six great states of New England. It's been a long time, so it's time for an upgrade. 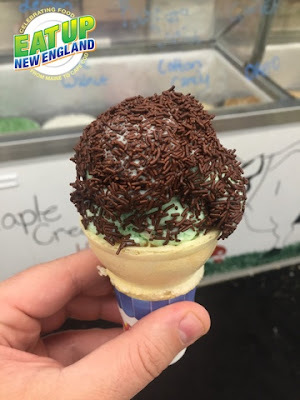 Welcome to the all new EatUpNewEngland.com! I've tried to make Eat Up New England easier to navigate by including the six New England states at the top of the site. Click on any of them for ALL of the stories I've written for that state. All the way over to the right on that same navigation bar is a drop down menu, that I will customize. Right now, it's set up with quick links to stories I've written about the foods of summer. Delicious Dish - Profiles of amazing foods/drinks that Eat Up New England highly recommends. 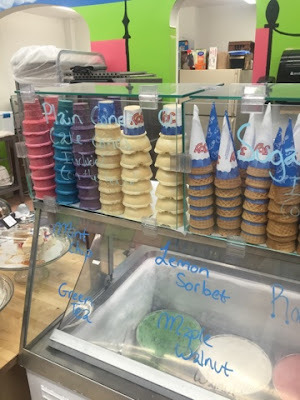 On The Road - Eat Up New England's main focus is food in the six New England states, but I also like to shares some amazing spots I've found outside of New England. 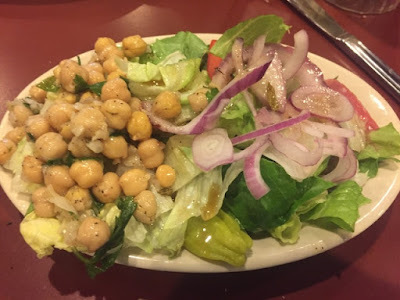 I've blogged on restaurants in San Diego, Fort Lauderdale, Atlanta, Chicago. 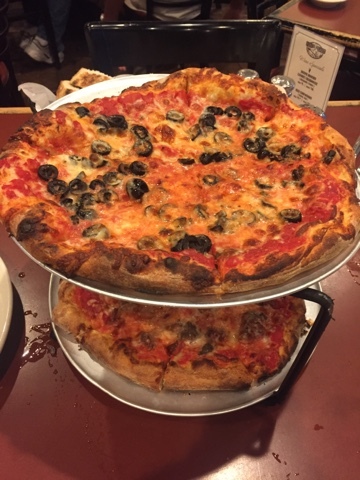 There are also plenty of recommendations in New York City. It has its own Tasty Topics label: NYC. Fall Favorites - A seasonal theme that includes restaurants with fall foods and/or cocktails. If you like pumpkin-flavored foods, cinnamon donuts and apple cider cocktails, then this is the Tasty Topic for you! Season's Eatings - Another seasonal theme, these are places/dishes that are all about the Christmas season. There are lots of gingerbread martinis in this theme. Sizzlin' Summer Spots - These are restaurants that are the perfect places to go during the summer. 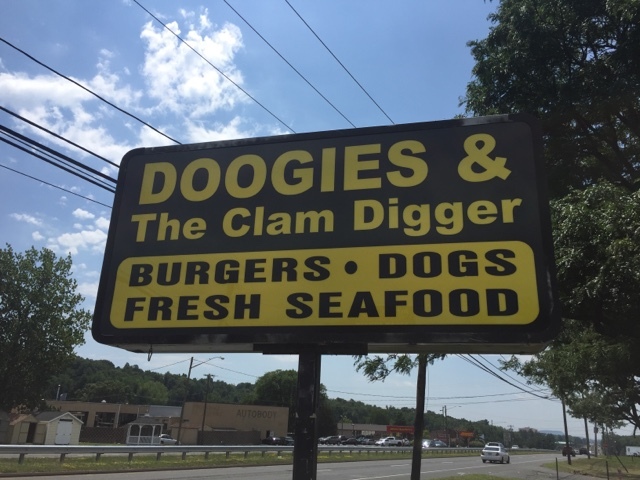 They tend to be by the ocean and serve summer favorites like lobster and clams. 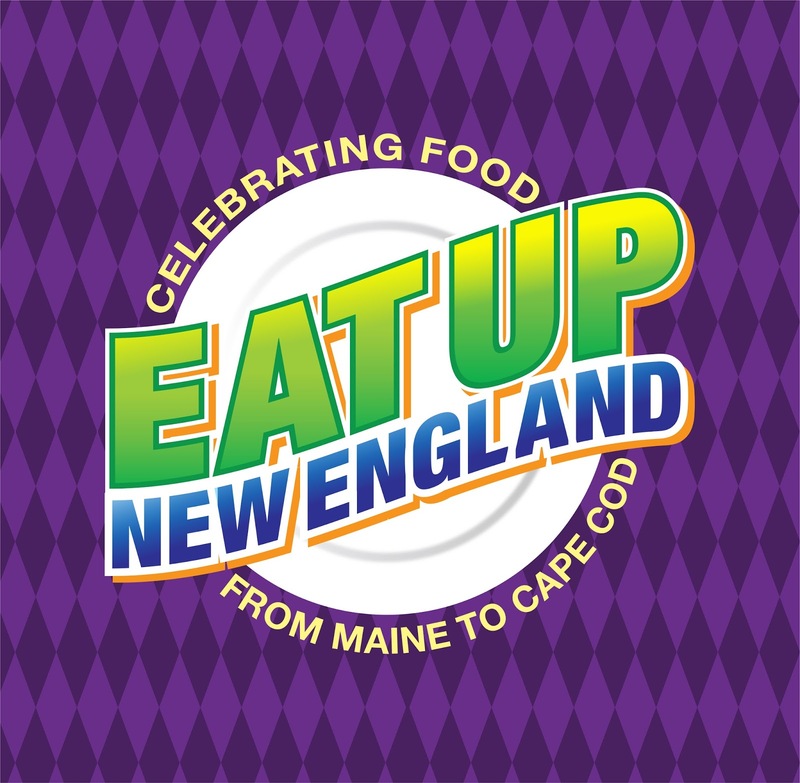 Also, EatUpNewEngland.com has a wonderful new logo. It was designed by my very talented brother, Mike. 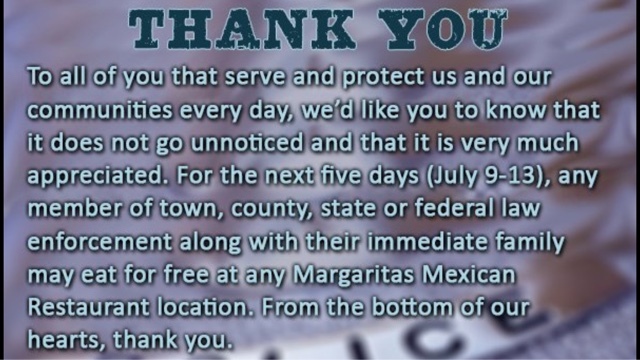 Thank you for your hard work. 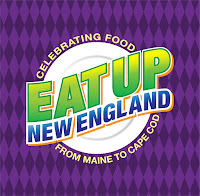 Get hungry looking around at the all new EatUpNewEngland.com. Follow me @itsthejoeshow on Twitter and @eatupnewengland on Instagram. If you let me know you're a fan of Eat Up New England, I'll follow you back! 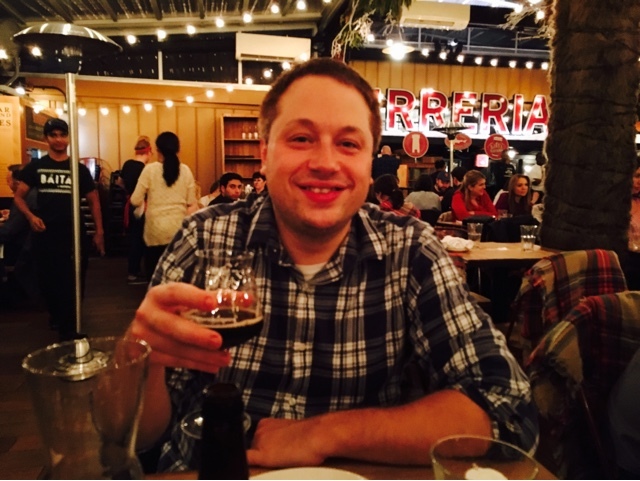 You can also catch me in the #foodiechats Twitter chat every Monday night, along with the #FoodTravelChat every Wednesday night. Sometimes the best advertising is free. 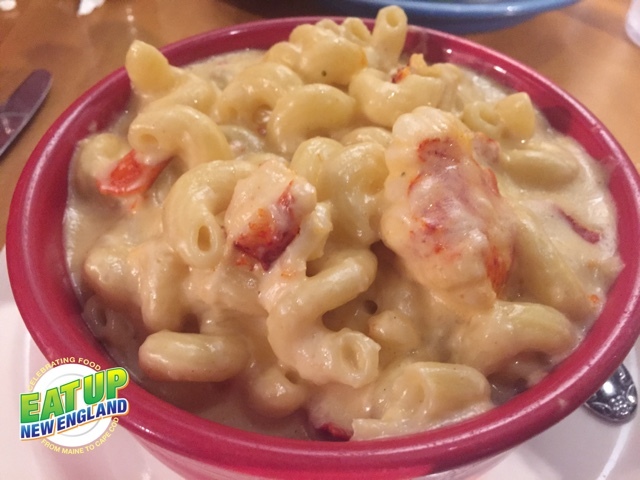 This afternoon, Rox Diner in Newtonville, Massachusetts posted a photo of their lobster mac 'n cheese on Instagram. It made me crave it. So, as you can see, that's where I wound up for dinner. This very hearty bowl was just $12.95. Their Newtonville location is also offering a lobster roll, lobster reuben and a lobster cobb salad this summer. I may have to try them all! Every sandwich shop has something about it that makes it stand out in the crowd. 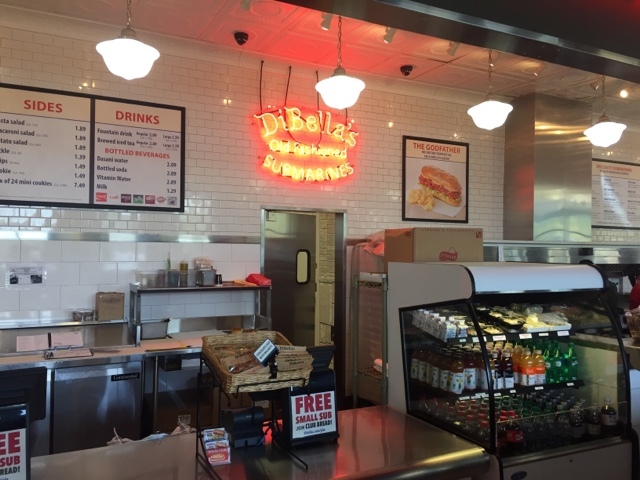 At DiBella's, it's their homemade bread, their hearty sandwiches and their old school sandwich shop ambience. DiBella's started out as a small corner grocery story in Rochester, New York nearly a century ago. Right now, they have 44 sub shops in six states. Eat Up New England checked out one of their newer shops in Newington, Connecticut. I loved the decor, from their neon signs to their vintage lighting. They also have a huge dining room with plenty of room for families. DiBella's has a huge counter for ordering. 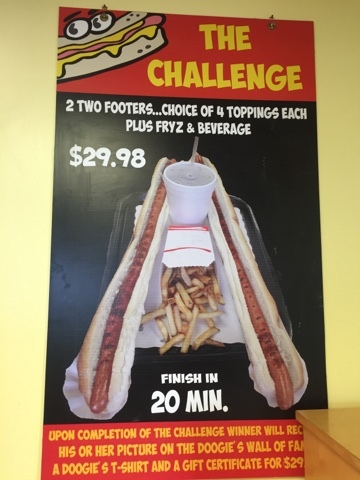 You can watch them make your sub right in front of you. All subs come in small, medium and large. The DiBella's Cheesesteak above is a small and it was more than enough for lunch. I enjoyed it with provolone cheese, peppers and onions. Check out that bread! That's their everything bread. 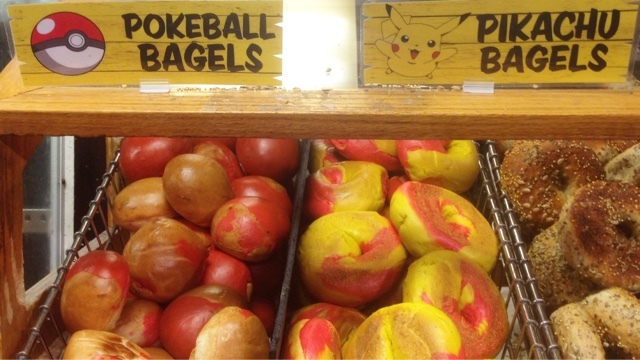 It's just like an everything bagel. 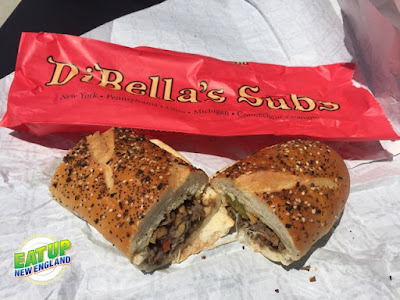 DiBella's also has sesame, multigrain and plain breads. They make them all in house. 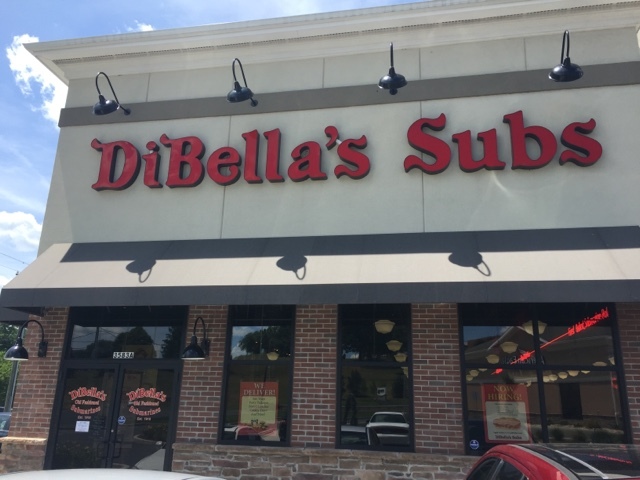 Some of their classic subs include the "Godfather," with genoa salami, capicola and ham. There's the "Uncle Louie" with roast beef, turkey and ham. 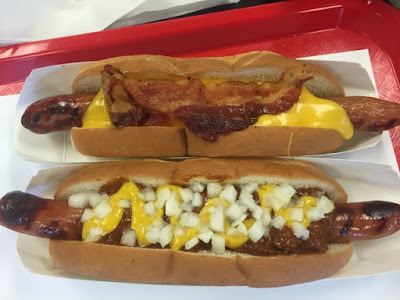 You can even get a cheese sub with assorted cheeses. Specialty subs include "The Cowboy," with bacon, BBQ sauce, chicken and cheddar cheese. There's also the "Buffalo Chicken," with grilled chicken smothered in Buffalo sauce, ranch or blue cheese and topped with melted cheese. Add a pickle, pasta or potato salad to any of their sandwiches. They also make chocolate chip cookies in house! 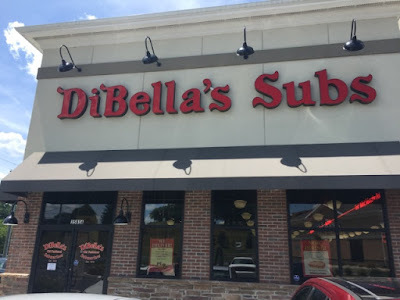 As of today, DiBella's is only in Connecticut. 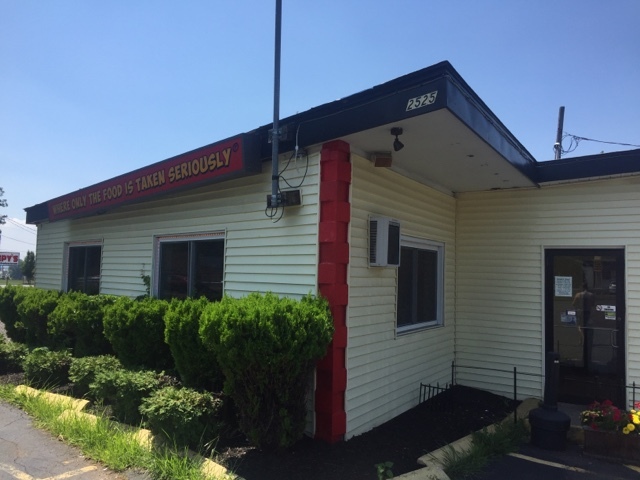 They have other locations in Milford, Hamden and Wallingford.